At any given time, I think I only understand 50% of what’s going in Super Smash Bros. Despite having put countless hours into playing every Nintendo system since the Super Nintendo, the long-running Smash Bros. series had passed me by until now. I steered clear because I never really knew what to make of these games. I had played the occasional Smash game but I was always very confused by what was going on. It was one of the very few fighting games that played nothing like Street Fighter so I didn’t feel like I had a frame of reference for the chaos on-screen. It was its own thing. You’re bouncing around a platform with a bunch of Nintendo characters and there is no health bar and instead of reducing your opponent’s health to zero, the objective is to bump them off the edge of the screen which can sometimes happen in a matter of seconds. There isn’t really anything else like it. Super Smash Bros. Ultimate seemed like a good a game as any to jump in as a newbie. 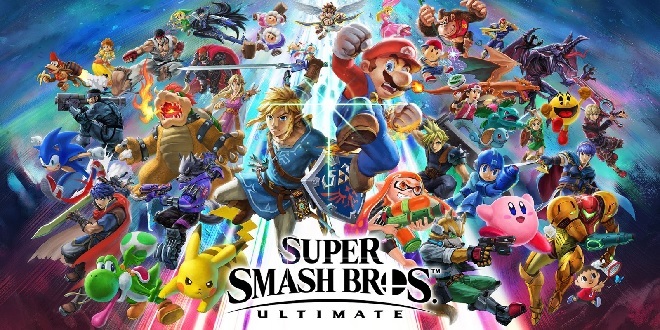 It’s called Ultimate because it has every playable character from the previous versions included, which amounts to a formidable roster of over seventy playable characters. What started as a franchise that was a homage to Nintendo characters has also expanded into something much broader. 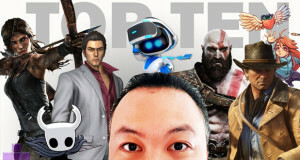 The roster for Ultimate includes many popular non-Nintendo video game characters including Sonic the Hedgehog (Sega), Pac Man (Namco), Ryu & Ken (Capcom) and Solid Snake (Konami). In that sense, its clear to see part of the reason for Smash’s enourmous success – it’s become a one-stop destination to pit dozens of classic video game characters against one another. If I’m honest, a lot of the playable characters in Smash still remains rather baffling to me. In such an enourmous roster, series creator Masahiro Sakurai manages to neglect including some pretty significant Nintendo mainstays such as Toad and Waluigi. Instead there are three variations of Link (Link, Young Link, Toon Link), three variations of Samus (Samus, Dark Samus, Zero Suit Samus) and a lot of obscure Fire Emblem characters I’ve never heard of. The first additional DLC character announced is Piranha Plant who…doesn’t have legs or any obvious form of mobility. I can only assume this strange ecosystem of characters makes sense to series diehards. When you boot up Smash Bros Ultimate for the first time, you’re greeted with a main menu screen where its not obvious which option begins the story mode. There’s also a tutorial mode buried in there somewhere (I think?) and something called Classic mode which I don’t understand. 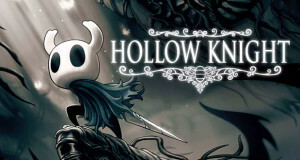 Of the 70+ playable characters, only a small handful are available at the start and the rest must be unlocked by playing the game. 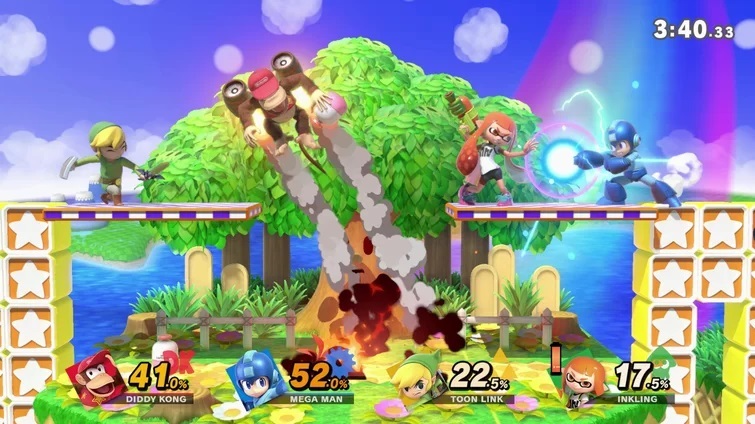 Characters can be unlocked in the World of Light mode, the Classic mode and occasionally at random when a Challenger Alert pops up. The random Challenger fights make it seem like you have one shot to defeat your opponent and add them to your roster but in fact you can have endless attempts to beat them if you find the right sub menu in the Options tab. The game never told me about this, I just heard about it on a podcast one time. Needless to say, the onboarding process for new players in Smash Bros totally stinks and is easily the most daunting and frustrating part of the game. The menus and options are clearly catered towards people who have put hundreds of hours into the previous versions. World of the Light is Smash’s story mode where a villainous Big Bad named Galleem takes over the galaxy and wipes out our cast of heroes and villains, leaving only Kirby to save the day. As you progress through the story, Kirby fights and rescues the other playable characters who then become permanent additions to the roster. World of Light is really great and what finally got me hooked on Smash. Usually the ‘story mode’ in fighting games have you taking on the entire roster, one at a time, finishing with a cheap and difficult boss at the end and is sandwiched by a couple of cutscenes of questionable quality. Smash Bros’ World of Light mode more closely resembles the structure of an RPG. You navigate an overworld which gradually opens up new areas as you battle enemies and collect spirits. There are literally hundreds of spirits to acquire and these provide a huge variety of buffs to your character – improved defence, immunity to poision, magnetism towards items etc. Since you can only carry a limited number of spirits into a fight, you’ll constantly be swapping them in and out to suit the upcoming battle. I love what Nintendo did with the enemies you encounter in World of Light. You come across all kinds of famous characters from video game history and then the game modifies a Smash character to represent them. One area has you fighting the cast of Street Fighter II characters so to represent Blanka for instance, you’ll come up against a green skinned Bowser who favours electrical attacks. 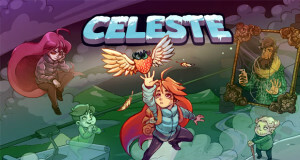 By giving the characters all sorts of different costumes, movesets and items, they’ve created a genuinely entertaining story mode that takes the player through some of the most beloved video game environments of the last thirty years. Smash feels genuinely stuffed with content and is absolutely crammed full of interesting artwork and callbacks to all kinds of past games, both classic and obscure. If there’s one qualm I have with this otherwise generous and comprehensive story mode is that there is a total absence of any flavor text to contextualize the 500+ Spirits you collect in the game. At worst, I would have liked each Spirit to identify which game they were from and maybe the year that the game came out. Better still, it would’ve been great to have a line or two explaining the history of the character and maybe a bit of trivia about them. Instead players just amass a humungous library of cool looking Spirits with no detail about them whatsoever. That quibble aside, I still found myself totally absorbed by the World of Light mode and easily sunk over twenty hours into it. It’s the most interesting story mode I’ve ever played in a fighting game, bar none. A word on the actual fighting game mechanics themselves. Combat is quick and easy to learn. The beauty of the game is its accessibility. There’s only one button for attacking and another for special moves. In other words, even a four year old can pick up and play Smash Bros and have a good time. Which is exactly what happened over the Christmas holidays in our household. I had a couple of fun Smash Bros sessions playing with my brother who seldom plays games, and his two kids aged seven and four. I understand that the skill ceiling for this game is very high and there is a very active competitive scene around Smash but that doesn’t come at the expense of it being a highly accessible game for a casual pick-up-and-play audience, in much the same way Mario Kart is for racing games. I’m glad I finally had a chance to play a Smash Bros game. Ultimate is packed with a wealth of content and is a fine piece of fan service to decades of gaming history. At times there is so much to see and do that the game threatens to overwhelm you. But patience, persistence and the occasional look up on Google should ensure even newcomers eventually uncover the treasure trove that this game has to offer. Summary : Its a fighting unlike any other that I've played before. Loads of fun, great in both single and multiplayer and absolutely filled to the brim with content. Tagged with: Nintendo Nintendo Switch Super Smash Bros.